Summer is just a month away and this summer I want to enroll Y and R in different summer activities but I haven't decided what classes will suit their age and interests so I'm going to Expo Kids 2015 next week! 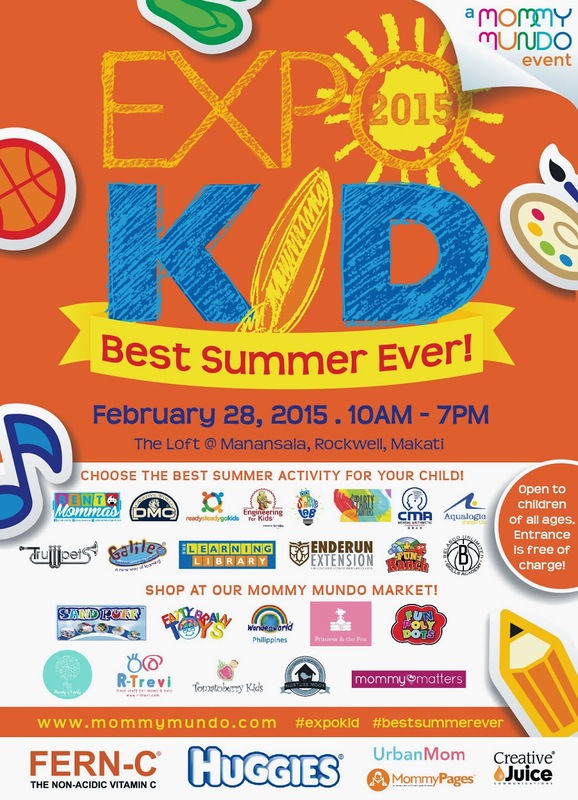 A gathering of the metro's most exciting summer activity providers on February 28, 2015, from 10am to 7pm, at the Loft in Manansala, Rockwell, it is the objective of EXPO KID 2015: BEST SUMMER EVER! for children of all ages to experience as many different kinds of activities as possible to stimulate their minds, energize their bodies, build their self-esteem, and nourish their spirits. Presented by Mommy Mundo and sponsored by FernC and Huggies, EXPO KID is going to be an invigorating one-day event as kids get a preview of just how exhilarating their summer can be. EXPO KID exhibitors like the Bento Mommas, DMC Threads, Ready Steady Go Kids, Engineering for Kids, Sparkle Lab, Party Painters, CMA, Aqualogic, Trumpet, Fun Ranch, Learning Library, Enderun Extension, Belasco Unlimited Skills Academy, and Galileo Enrichment Learning Program will be providing interactive activities so that kids get a first-hand experience of their offerings. Moms get a bird's eye view of the summer activity landscape, helping them decide which ones are best for their children considering their talents, skills, and ages. Moms can also shop at our Mommy Mundo market where you’ll find everything a mom will ever need. 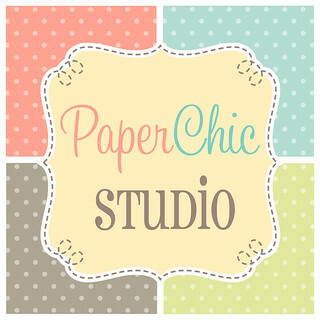 Our market includes booths like Sandpuff, Fatty Brain Toys, Wonder World Philippines, Princess and the Pea, Fun Poly Dots, Pottly n Tubbly, R-Trevi, Tomatoberry Kids, Nurture Nook, and Mommy Matters. EXPO KID also has a special treat! At 11AM Huggies will be having a special activity for kids 6 months to three years old with Maricel Laxa-Pangilinan. Text 0908-8657245 to register; the first 200 registrants will receive a gift pack from Huggies at EXPO KID. EXPO KID is open to children of all ages, and entrance is free! Let’s make this the best summer ever for our children. See you at EXPO KID! 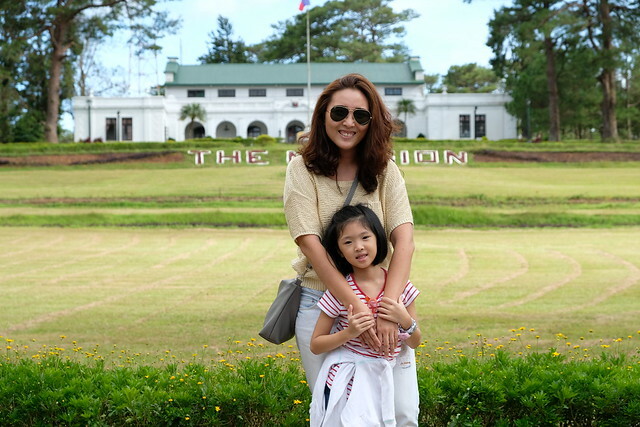 For more information, go www.mommymundo.com!